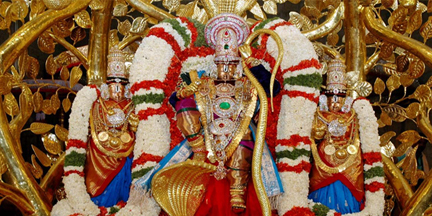 Tirupati is a major pilgrimage and cultural city in the Chittoor district of Andhra Pradesh. It is the largest urban agglomeration in the Rayalaseema region. It is located at the foothills of the Eastern Ghats at a distance of 150 kilometers (93 mi) from Chennai, 250 kilometers (160 mi) from Bengaluru, 349 kilometers (217 mi) from Vijayawada and 550 kilometers (340 mi) from Hyderabad. It is one of the richest pilgrimage cities of any religious faith in the world. 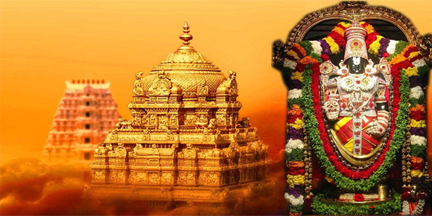 For the year 2012-13, Ministry of Tourism (India) selected Tirupati for the prestigious Best Heritage City award recognizing city's tourism potentiality. 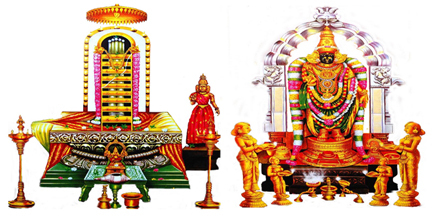 Srikalahasti Temple is located in the town of Srikalahasti, in the state of Andhra Pradesh, India. 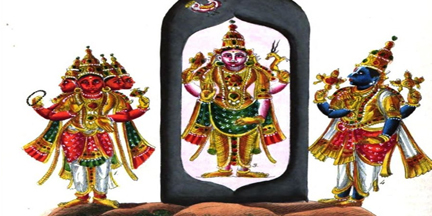 It is one of the most famous Shiva temples in South India, and is said to be the site where Kannappa was ready to offer both his eyes to cover blood flowing from the Siva linga before the Lord Siva stopped him and granted him mukti.